Rich MacDonald shares his story of first buying property in Las Vegas in 1970. MacDonald Highlands was born, yet began literally from scratch. There were no utilities like water or electricity. “It was a challenge to make anything happen,” Rich says. Yet today here MacDonald Highlands stands— a victorious, master planned community that is not only beloved by its residents, but also the wider community that admires some of the most beautiful homes in the valley. The 2015 year has been a big one for MacDonald Highlands luxury community. Newer, higher lots with 360-degree views of the valley that were held in reserve have now been placed on the market. These one-half to three-acre lots are called Dragon’s Reserve and are for sale at $1 million to $3 million. Our realtor Kristen Routh-Silberman has overseen the selling of eight of these coveted lots, and just as many are in the sales process right now. There are 35 homes currently under construction in MacDonald Highlands, Silberman reports, with homes larger than 10,000 square feet built by Blue Heron in Dragon’s Reserve. Blue Heron promises to build some of its most innovative and creative architectural designs within MacDonald Highlands gates for a total of eight homes all ranging from 6,000 to 25,000 square feet. 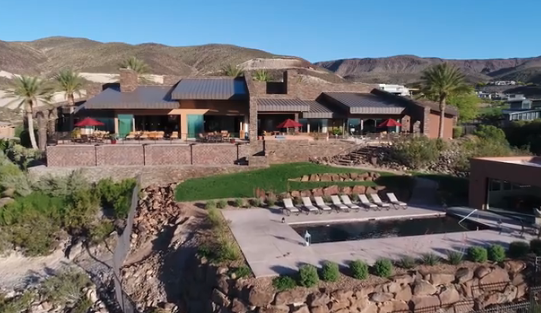 MacDonald Highlands prides itself on the views from McCullough Mountains, it’s state of the art golf course, DragonRidge, Country Clubhouse and it’s Tennis and Athletic Center, complete with basketball court, pool, gym and childcare. To learn more about “Life at the Top” in MacDonald Highlands’ luxury community in Henderson, Nevada, contact Kristen Routh-Silberman on our website or call 702-614-9100.